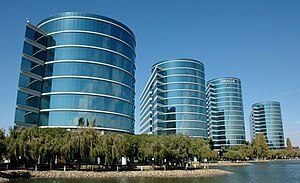 I have been a long term bull on the Oracle Corporation(ORCL) and love this company… Earlier this week , I recommended that Options honey readers consider buying the Mar 16, 2012 expiration $30 strike Call Options on Oracle (ORCL) for .20 cents(.20 x 100 shares per contract=$20 a contract plus trading fees). Oracle is trading up 1.23% at 29.61(11:21 AM EST) and the March 16, 2012 $30 strike Call Option contracts have gained almost 100% in value. Attached is the March 16, 2012 expiration $30 strike ORCL Call Option courtesy of Yahoo Finance: http://finance.yahoo.com/q?s=ORCL120317C00030000. You might want to consider selling 40% of your position to lock in a big gain at .40 cents a contract(.40 x 100 shares per contract=$40). That would be a quick gain of $800 minus trading fees. That’s nice!! Lovin’ that Honey…I mean Money!! If you bought 100 contracts, you will still have 60 contracts remaining in order to profit huge from the potential move in the stock above $30 in the next few trading days. I reiterate my $37 2012 price target on Oracle shares and strongly believe that if the stock breaks 30, it will run into the low 30s very quickly. Good luck Oracle Bulls & Stay Tuned to http://www.Optionshoney.com!! What is the Options Trade on Atlas Air Worldwide Holdings(AAWW)? Options Trade#1: For the short term trade into earnings of AAWW, I would think about purchasing the AAWW March 16, 2012 50.0 and 52.50 Strike Call Options. Attached is the March 16, 2012 expiration Put/ Call Options Chain courtesy of Yahoo Finance: http://finance.yahoo.com/q/op?s=AAWW&m=2012-03. I would be a buyer of the $50 strike Call Options at $2.10 and the $52.50 strike Call Options at $1.25. For $2,000, I can purchase 16 Call Option contracts on AAWW March 16,2012 $52.50 strike Call Options plus trading fees. That will give me the option to buy 1,600 AAWW shares at $52.50 a share. If AAWW, blows out earnings this month and the stock trades to 60+ a share, this will be a very lucrative Options trade. Our $2,000 of capital invested on this Options play will be worth over $12,000 if the stock trades to $60 before expiration of the contracts. That would be awesome!! Keep in mind that if the stock closes below $52.50 at March expiration and AAWW has a bad quarterly earnings report on Feb 13, 2012, the Call Options may expire worthless. That is the high risk of Options…Hopefully, that will not be the case, but you know that you are risking the entire $2,000 plus trading fees on this Options trade. For the more conservative longer term investor, owning the shares of AAWW stock may be a great alternative to buying the higher risk Call Options. The growth story of AAWW’s revenue and earnings will be great over the next several years. Good luck AAWW Bulls!! This could be a Big Money Options trade for all of you Optionshoney lovers!! I discussed the big run up in Genworth Financial(GNW) over the past few weeks in a previous post on Optionshoney.com. The broader stock market indexes are all in slightly negative territory this afternoon as gold and silver continue to march higher!!! What is the play on GNW into earnings next week!? I am personally sticking with my bullish call on GNW and want to have long exposure going into earnings next week. What is the Options play? Options Trade#1: I would think about buying the GNW March 17, 2012 7 and 8 strike Call Options. Gnw shares are trading down around 4% today and I would be a buyer of these options at 1.08 and .50 cents a contract. I can purchase 10 contracts for a $1.08 ($1.08 x 100 shares per contract x 10 contracts=$1,080) and 20 contracts for .50 cents (.50 x 100 shares per contract x 20 contracts=$1,000) for a total cost of $2,080 plus trading fees. For a few thousand dollars, I will get long exposure to 3000 shares of GNW going into earnings next week. That is called leverage with purchasing Call Options. Buying 3000 shares of GNW stock today would cost me close to $23,100. If they beat the street and give any positive signals about a rapid decline in mortgage defaults or a housing recovery, this trade will be very profitable. If they miss and the stock tanks, I could lose a total of $2,080 plus fees on this trade. Remember options are very risky and extremely volatile. Please remember to consult your investment advisor before making any stock or options purchases. Options Trade#2: I would also be a seller of the Feb 18, 2012 7 strike Put Options for .30 cents a contract. If I sell 20 contracts I will credit $600 to my brokerage account. Worst case scenario, I get exercised on the shares and I have to purchase 2000 shares of GNW at $7 for $14,000 plus fees. By selling the Put Options I will reduce the cost of buying the 2000 shares by the $600 credit to my brokerage account. Best case scenario, they blow out earnings next week and I keep the $600 without having to buy the shares…However, my long term outlook and price target on the stock is 17, so I like owning the stock at these levels. The book value of GNW shares is close to $28 a share…Good luck Longs!! Till next time on Optionshoney.com. Chinese E-commerce company DangDang Inc(Dang) has been soaring in the past month and is up big this week on heavy volume. Dang profile: http://finance.yahoo.com/q/pr?s=DANG+Profile. The shares may continue to see huge upside over the long run and is a high growth/high beta stock. It was recently announced that famous institutional money manager Tiger Global Management has increased there holding in Dang and is the largest institutional shareholder of the company. Clearly, they are betting on the long term growth of Dang as well and have an extremely successful track record of making money in the global equity markets. Check out this recent article by Seeking Alpha: Dangdang: Like Rolling Back Time To Buy Amazon At $6 at Seeking Alpha(Tue, Jan 17). So what is the Options play on Dang?? Options Trade#1: I like selling the Dang Feb 17, 2012 7 strike Put Options for .65 cents a contract. If I sell 10 contracts I will collect a premium of $650 minus trading fees. If the stock closes above $7 at expiration, I will make $650 minus fees. Worst case scenario, I get exercised on the shares and I am comfortable being long the stock at $7 a share. By selling the puts it will help finance the potential purchase of 1000 shares of Dang at $7. Ten contracts x 100 shares per contract=1000 shares. To put on this trade, I will need $7,000 in collateral in my brokerage account in case I get exercised on the shares of stock. Here is the yahoofinance options chain http://finance.yahoo.com/q/op?s=DANG&m=2012-02. Options Trade#2: For the big Dang bulls, I would think about buying the Dang Jun 15 2012 8 and 9 Call Options. http://finance.yahoo.com/q/op?s=DANG&m=2012-06 I like the 8 strike Calls at .95 cents and the 9 strike Calls at .45 cents on a pullback in the stock to around 6.75. I also like buying the 1o strike leap call options on Dang. I would think about buying the Dang Jan 17, 2014 10 strike Call Options for around 1.90 a contract. http://finance.yahoo.com/q/op?s=DANG&m=2014-01. If Dang stock trades back to over 30 in the next few years, these leap call options will be worth big money!! Stay tuned for more action on optionshoney.com.